Milque is a member of Delta Squad, a special forces unit of the Alliance deployed to Fehl Prime in 2185. 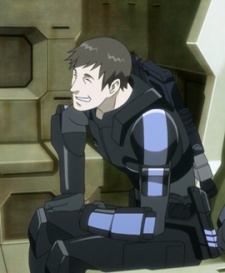 He is the team's sharpshooter and uses the Mantis sniper rifle. He is a cautious person and is bit of a pessimist and a cynic though he follows orders obediently. He is a talented sniper and takes down his marks with ruthless efficiency.